I never expected to deal with a mass shooting in my neighborhood, let alone the worst massacre of Jewish people in United States history in the same place where I had my Bar Mitzvah, the place where my parents got married, the place I drive past on my daily commute and holds so many fond memories for me: Tree of Life Synagogue in Pittsburgh, Pennsylvania. During my time as Regional Director of Keystone Mountain Region BBYO, Tree of Life collaborated with us on an event featuring two incredible Holocaust survivors who shared their experiences. Little did we know that in the very same room three years later, history would repeat itself in the most horrible way: Jewish people would be murdered for nothing more than being Jewish. When I started going to Sunday school at Tree of Life Synagogue, I was proud to be Jewish. When I started attending Emma Kaufmann Camp (a Jewish summer camp run by the JCC of Greater Pittsburgh), I was proud to be Jewish. When I visited the Holocaust memorials in Israel and Washington DC, I was proud to be Jewish. When I became a brother of Alpha Epsilon Pi Fraternity at Ohio University, I was proud to be Jewish. When I moved back to my home in Pittsburgh to become the Regional Director of KMR BBYO, I was proud to be Jewish. When I began my work in a family accounting firm in Pittsburgh, I was proud to be Jewish. And now, after a hate-filled coward entered my synagogue and murdered 11 friends and members of my community, I HAVE NEVER BEEN MORE PROUD TO BE JEWISH. The morning of October 27th, I was in my living room studying for the CPA exam when I heard sirens driving by my house. If you know Squirrel Hill, you know it is so unusual to hear sirens because it is a very peaceful, quiet neighborhood, especially on Shabbat mornings since Squirrel Hill is known to be, “the heartbeat of Jewish life in Pittsburgh.” I remember wondering if there was a fire or something serious nearby, but didn’t think much of it until I received a text from my father. Imagine that for a moment. The helplessness of knowing that I likely knew people in the building, and that this was happening less than a mile from where I was sitting. Soon, I would learn which beloved members of our community had been taken from us. I knew Cecil and David Rosenthal since I was born. They were two of the most genuine people in the world, living with special needs and not letting that stop them from being at the place they loved –Tree of Life. My mom and I used to occasionally give Cecil a ride home, since he lived nearby and almost always walked to shul. He went to shul every weekend. He’d occasionally stop in my family’s flower shop on Murray Avenue (only a few blocks from Tree of Life) to say hi. Cecil and David were an enormous part of the synagogue experience; they’d greet you when you entered the sanctuary, give you your siddur, and tell you where to sit. Every synagogue has those people. As you read this, you might be thinking of these people at your own synagogue. The next time I go to services, they won’t be there anymore to hand me my siddur and tell me where to sit. I attended their funeral on October 30th. Rose Mallinger is a friend’s mother and grandmother. Her family is very involved at the JCC. I played basketball with her grandchildren. I attended her funeral on November 2nd. A friend of mine was hiding in a closet in the chapel with Melvin Wax before Melvin was killed. The shooter didn’t see my friend because she was hiding on the floor. He walked out, giving her just enough time to get out of the building. Irv Younger coached friends of mine at the JCC and was known throughout the community. Bernice and Sylvan Simon were my grandparents’ neighbors when they were younger. My grandfather and Sylvan were in a bowling league together. The Simon’s were married in Tree of Life over 60 years ago. Jerry Rabinowitz was the doctor for at least half of the families I know in Pittsburgh. My sister’s boyfriend Jordan is very good friends with the son of Dan Stein. I spent four hours on that terrible day in touch with Jordan as he waited to hear from Dan, because he knew his dad was at services that day. It wasn’t until mid-afternoon that they found out Dan was one of the first victims identified. Joyce Fienberg was the grandmother of former campers of mine at Emma Kaufmann Camp. Richard Gottfried was a dentist for so many people I know and is the uncle of a BBYO teen that my cousin works closely with as she is still a BBYO employee in Florida. We all know how small the Jewish community is in general, and everyone here has played “Jewish Geography” at least a few times in their life. Unfortunately in the Pittsburgh Jewish community, there is no more than 1 degree of separation between us and the victims. In the weeks following the attack, I feel compelled to channel my anger and sadness into creating a better world. I can think of no better way to create a better world than by sharing my story with the most powerful people in it: you, the teenagers of the world. I’m writing you this message because I think it’s so essential for you to spread the story of these people. Through me – a former Jewish teenager – you are all directly connected to the victims here. They are part of our national and global Jewish community. It’s important that they are the ones we remember, and not the coward who took them from us, nor his name. I also want to tell you about the kindness, support, and care I was shown by my friends in the Jewish community. As the horrifying events unfolded at Tree of Life, I started to receive notification after notification on my phone without pause from old Jewish camp friends, former BBYO friends and others from my childhood – even people with whom I’d lost contact over the years. In my sadness and panic, it helped to know that so many friends I made as a teenager were still there for me on the most difficult day of my life. Had I not been lucky enough as a teenager to go to summer camp or be involved in a Jewish youth group, I would have felt so much more alone on that terrible day and the days that have followed. During this time of darkness, my family from BBYO and my family from Emma Kaufmann Camp shine a light on the bigger picture of the world. Several years ago, my Pittsburgh friends from Jewish camp, BBYO, and my community started something called “Menorahgate” for fun; we lit a menorah before entering the stadium to watch the Pittsburgh Steelers, since Hanukkah usually coincides with a Steelers home game. This year, we decided to turn Menorahgate into a fundraiser for Tree of Life. Our original goal was to raise $1,000 by December 16th; we were stunned when we hit that goal within the first five hours. We’re currently at $17,500 and counting. It’s strange but somehow feels right that something fun I created with my BBYO, camp, and local Jewish friends has turned into something so meaningful. The Jewish community brought us together, so it feels right that by coming together now, we can give something back to the Jewish community. Jewish teenagers, I want you to know that having a Jewish community is a gift that transcends distance and time, and gives you the energy to go on even in the worst possible circumstances. If I couldn’t rely on my Jewish camp and youth group friends, I wouldn’t be able to comfort and support the Pittsburgh community, and do everything I can to help us bounce back. I appreciate now more than ever not only being Jewish, but having a group of Jewish friends who understand our values and the importance of community. My experience as a Jewish teenager has had a major impact on who I am, and given me the support and resilience to process this tragedy. 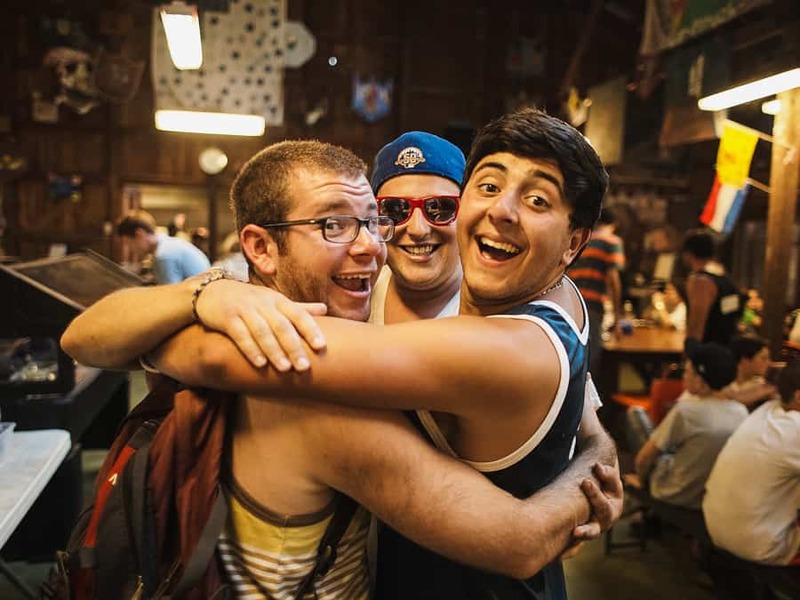 As a teenager at Jewish camp and in BBYO, I not only learned the importance of having a Jewish community, but of respecting the dignity and humanity of people of all faiths and backgrounds – and remembering the common bond we share. It is essential that you unite not only with Jewish teenagers in your community, but to reach out to others. While we accept and appreciate the outpouring of support here from people of all backgrounds in Pittsburgh, we need to reciprocate this support and turn it into action to help heal the wounds of all minorities and marginalized communities. As we reel from the shooting at Tree of Life, is very important to acknowledge the recent shooting in Louisville, Kentucky where Vickie Lee Jones and Maurice E. Stallard were murdered for the color of their skin. The Islamic Center of Pittsburgh raised enough money to pay for all 11 funerals that took place. Wasi Mohamed, the Executive Director, spoke about how important it was that his community unites with the Jewish community, and made sure to say that the Jewish community had been supportive of his community in the past during down-times. Standing up against all forms of bigotry – and not just anti-Semitism – is an important Jewish value. The struggles our people have faced throughout history should activate our empathy and fuel our desire to do right. You are young. You may have just had your Bar/Bat Mitzvah, you may just be starting high school; others might have just submitted their college applications. When I was a teenager, I can’t tell you how many times people told me, “You’re just a kid.” I am here to tell you that you’re powerful, and you can make a difference RIGHT NOW. I’m moved by the way so many teens have already taken powerful action in light of this tragedy. There will probably never be a “normal” again in Squirrel Hill. There will always be a “before the shooting” and “after the shooting.” The best we can do is unite as a community and nation to shape the “after” into a better world by showing that love conquers hate. We need young leaders like you to show the world that even when facing the worst tragedy experienced by the Jewish people in this country’s history, we won’t react to hate with hate. We stand strong against bigotry toward all people, and in all its forms. We don’t get intimidated. We come together, determined to do the work to create a better world. 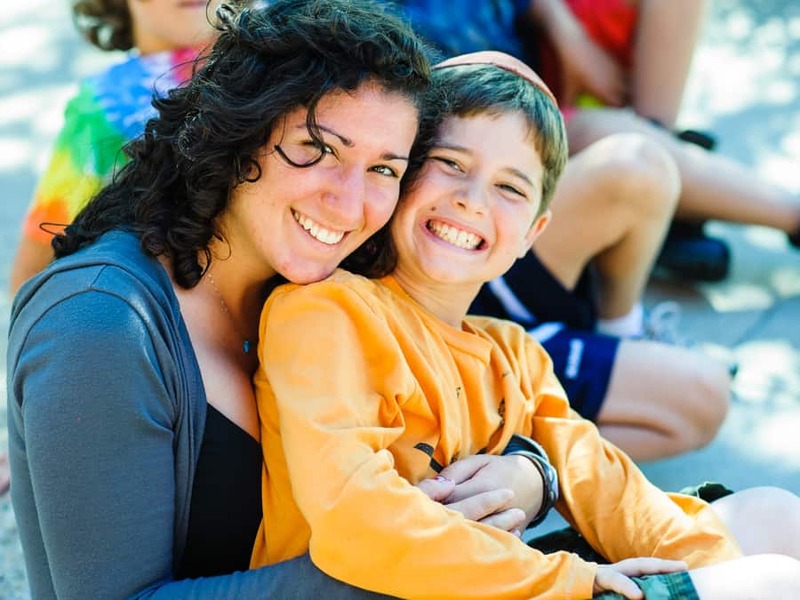 Andrew Exler grew up in Pittsburgh and spent 16 summers at Emma Kaufmann Camp as a camper, counselor and head staff member. He also spent 4 years as a BBYO professional staff member in Nashville, TN & Pittsburgh, PA. Andrew is a 2013 graduate of Ohio University, where he is brother of Alpha Epsilon Pi Fraternity. He is now an accountant at Exler & Company, Inc. in Pittsburgh, PA and is still heavily involved in the local Jewish community. Andrew is happy to be a resource for Jewish teens and invites them to contact him at exler.andrew@gmail.com.